I get this question all the time…”How do I pick the right white for my room?” Hey, I’m the color girl remember? I love color and I would love to see my readers choosing more daring hues on their walls. 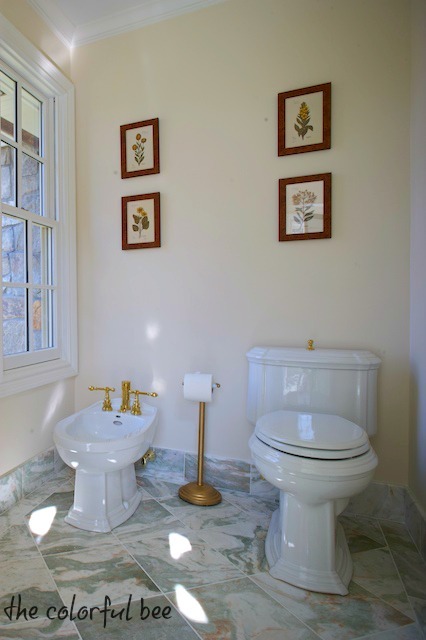 White is one of those tricky paint colors because there are so many different whites and off whites to choose from – all with different casts of blue, red, green, yellow, gray, purple and orange. Here’s my take on how to choose the right white for you. Choosing a white paint color for a room seems like a pretty simple thing to do, right? Wrong – choosing a white is probably one of the more difficult things to master for the Do-It-Yourself homeowner…even for designers. Before you go out to the paint store, the first thing that you really want to do is to examine what you have in the room already that’s not going to change – flooring, granite, tiles, expensive furniture pieces that you are not going to reupholster and other fixed items. You need to choose a white that won’t clash with these things that are permanent. Always choose paint colors in context. 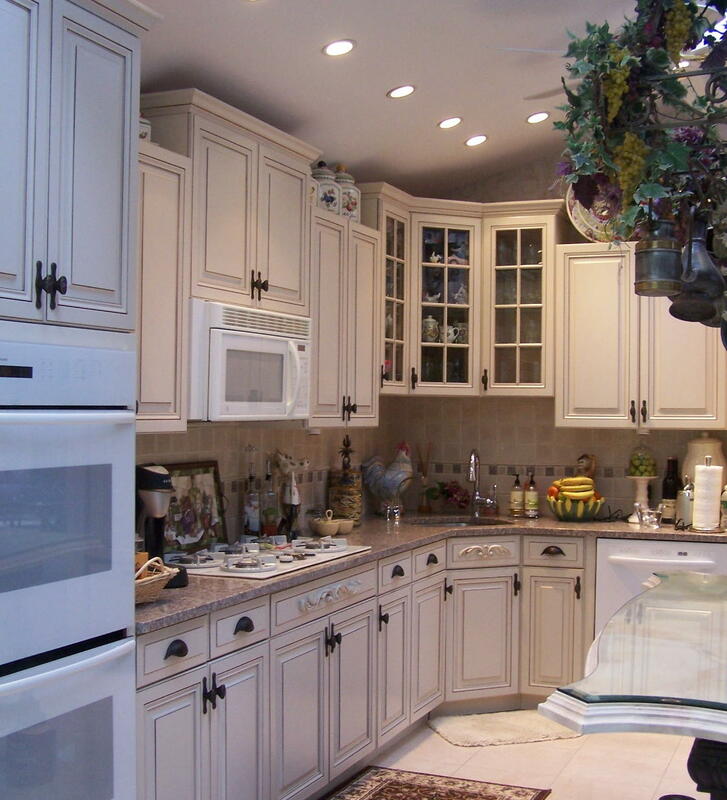 Are you working with a brown granite that may have pink undertones? 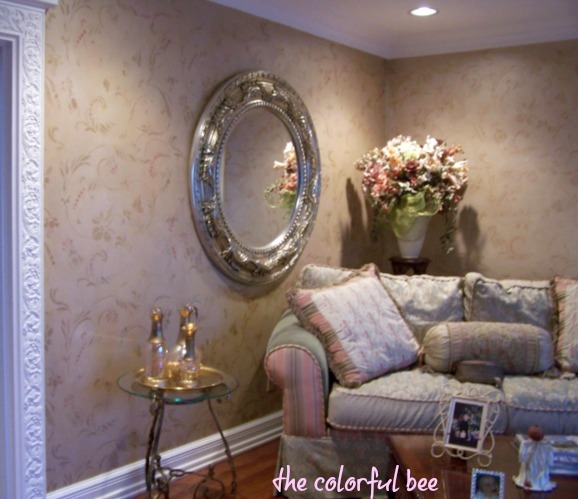 You want a paint color with slight pink undertones. A Calacatta marble that may be pure white but has some gold veining would look best with a white with pale yellow undertones. Are you working with oak flooring? Then you want a white with yellow/golden undertones. Once you know these undertones – a whole lot of whites can be eliminated from your vast options in the white and off white world of paint. Alright, what’s an undertone Linda? The obvious hue you see is the main color. The color underneath it – the one you don’t see at first, is an undertone. If you don’t pay attention to this and if the undertones clash, the color scheme that looked perfect on paper – will be disastrous in reality. Color (including whites and off whites) is a fickle mistress and she demands to be heeded. So, learn to recognize undertones – they really matter. Decorator’s White in satin for trim. 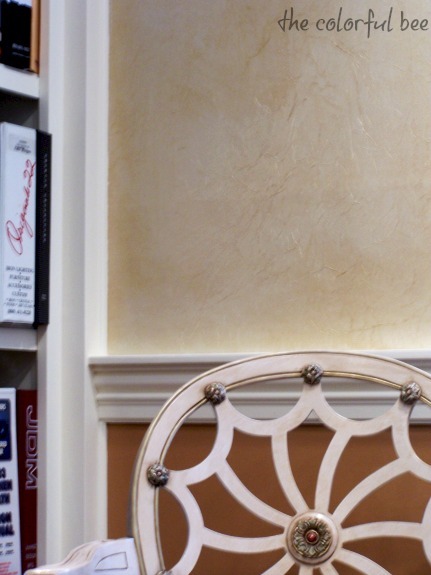 The cool pink taupey faux finished walls we did needed a cooler white trim. I wanted to put a little glaze on the moldings, but the homeowner was so happy without it. 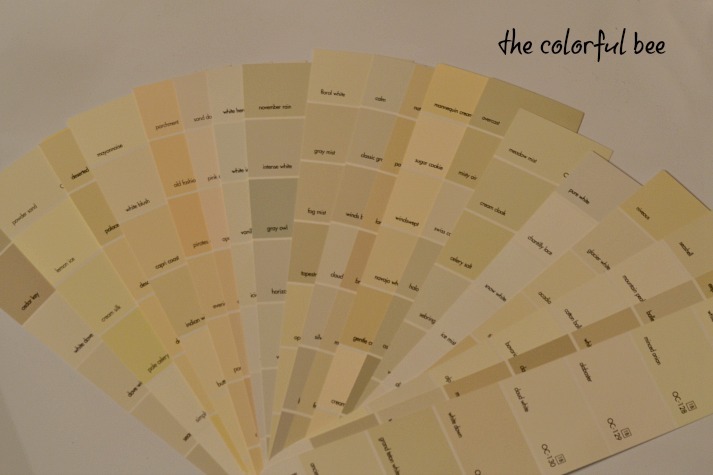 If you have access to a white and off white fan deck of a major paint manufacturer, like Benjamin Moore, you’ll see they have over 140 whites and off whites. If not, pick up a host of white paint chips in the paint store and you’ll see that there is a whole variety of undertones happening – pink, yellow, gray, green, blue and violet. To isolate the undertones, so you can start noticing which is which, take a piece of pure white cardstock and cut out a square the size of the paint chip and place the different whites underneath it. You’ll see that some of these whites will mysteriously turn into a slight pink or yellow etc against the white background. That’s the undertone. Alone, without context, a white paint chip will look, well, plain white. You will be amazed when you start to recognize all the subtle differences. It takes a little time and practice but this exercise is so worthwhile. 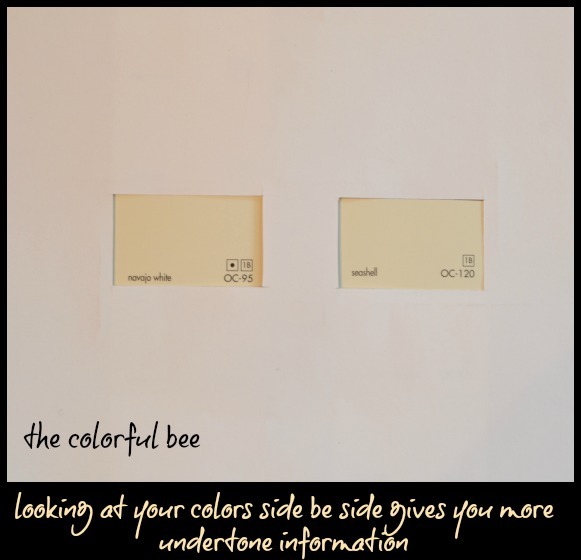 After you have figured out the undertones in your room and you have picked out some white/off white candidates, place the colors side by side on your cardstock viewer to get an even better picture of the undertones. The above photo shows two warm undertoned off whites. You can see (even though my photo might not be as accurate a depiction) that the Navajo White is a bit warmer and more yellow and the Seashell is still warm but not as yellowish. I always specify Seashell when a client wants Navajo. I just have seen that color a bit too much…like in every apartment I ever lived in in the 80s! I always recommend that before committing to a paint color, roll your chosen color(s) on a large piece of oaktag (2 coats please!) and place your sample vertically on the wall – next to any fixed object in your space. Move it around to check if the color blends or clashes with the items in your room. 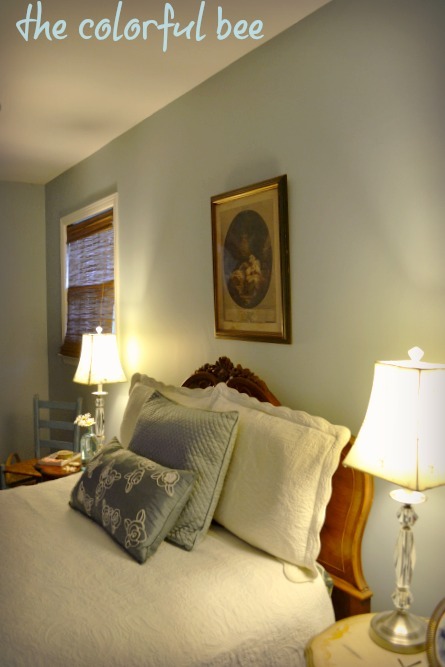 See how the color looks in the morning, noon and night (and very specifically when you use the room the most). If you follow these suggestions, you’ll be well on your way to picking the right white for your space. I hope you will come back tomorrow when I talk more about choosing white – and what are the key elements your white room has to have to transform it from blah to ahh! 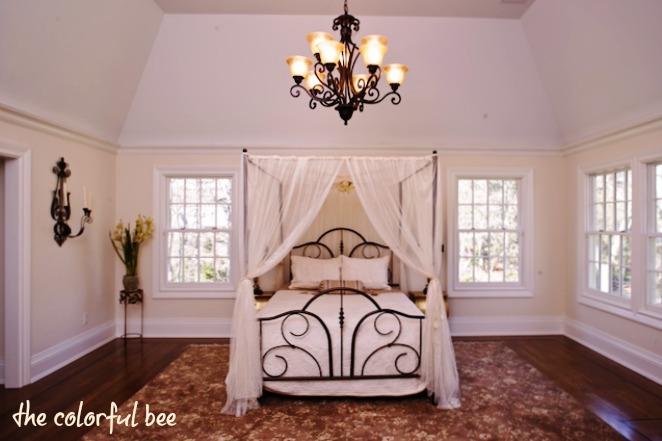 For more information on paint colors and their undertones, please go to Maria Killam’s blog. She has so many posts about this topic – I highly recommend it! 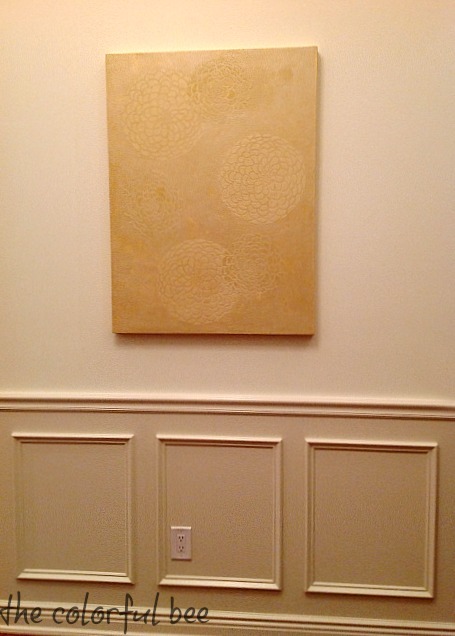 For a home staging assignment two weeks ago, I had to create some artwork for the property. Yes – I could have used some that I had on hand…but nothing was quite right. The investors wanted the home to be a bit more contemporary than what I usually do – and I didn’t have anything that would work in a contemporary setting, artwork-wise. So, I decided to create my own. 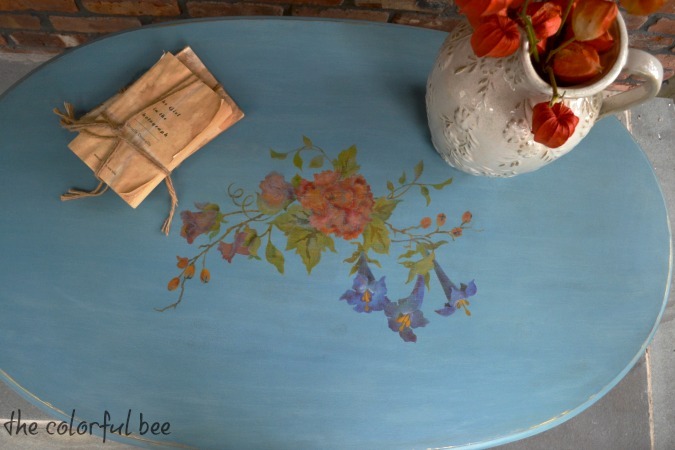 I follow a fellow designer, Cara McBroom, and was really taken by two art pieces in one of her client’s homes. It was by Mary Hong, an artist working in Florida. 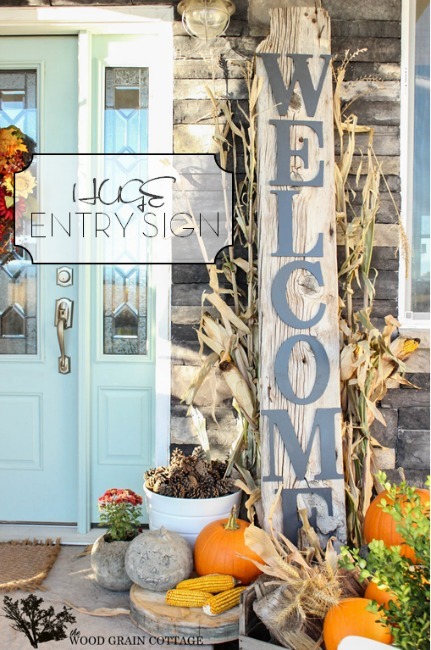 So, I came across a wonderful, rustic Welcome sign made by Shayna of The Woodgrain Cottage – such a nice touch to her absolutely beautiful fall porch. 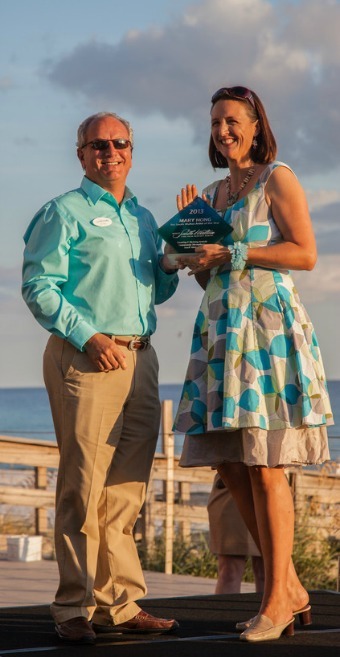 I have been a non-lover of blue for a long time now…but my taste has been slowly changing. I guess that happens to everyone. Has this happened to you? I love Chinese lanterns! 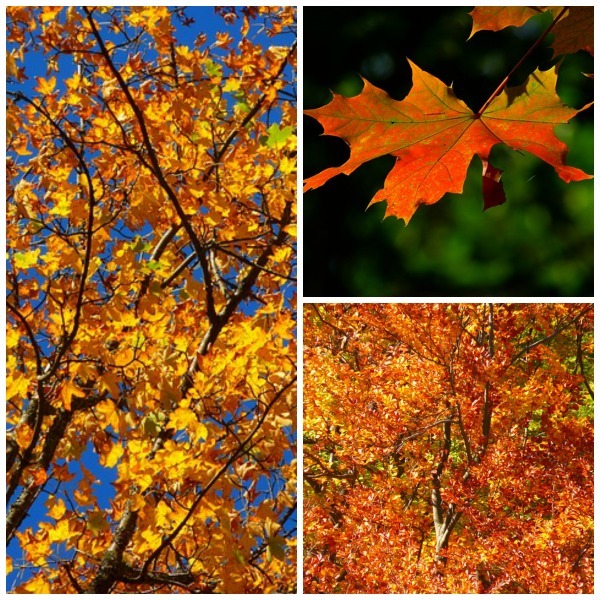 These colorful beauties are a natural for fall décor. 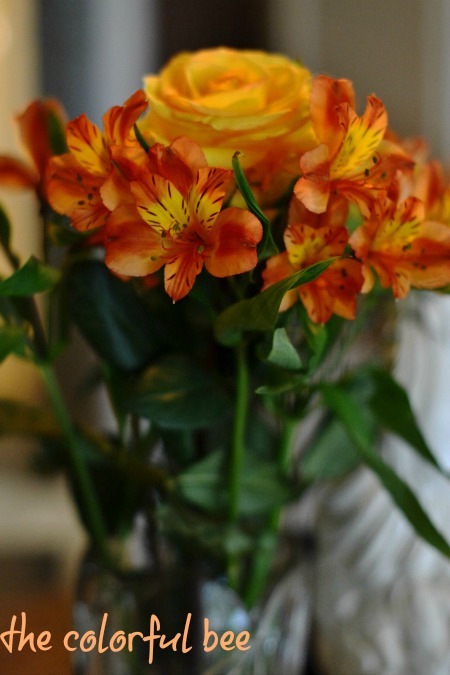 They can be dried and used in wreaths and floral arrangements around the home. One of my clients, Dottie, gave me a beautiful bunch of these plants last week. As soon as I saw them I was transported back to my childhood. Orange You Glad It’s Fall? I Am! If you haven’t noticed, I am a big fan of the color orange. 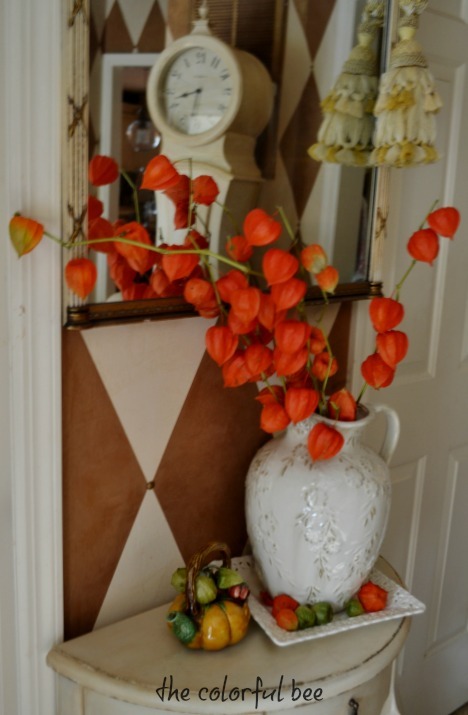 Now that’s its fall I can find all sorts of accessories, florals, leaves…and pumpkins to plop into my home to give it a little fall lift. So, it’s a favorite time for me to decorate, redecorate and move things around a bit.